Welcome to Latest Phones - A site that provides mobile phone reviews and mobile deals for the latest phones available in the UK. As well as offering in depth reviews and deals on all new phones, we also have UK release dates for coming soon phones by popular phone manufactures Nokia, Samsung, Apple, Blackberry, HTC, Sony Ericsson and all other mobile phone manufacturers. View our most popular new phone deals below. 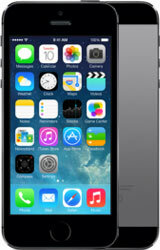 Not only do we have the latest Smartphone's, but we also cater for everyone from basic pay as you go phones deals and sim only deals to top of the range Apple iPhone 4's on a pay monthly contract. 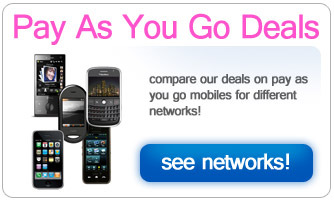 View a selection of the latest mobile phone deals or visit a specific page such as: Latest Nokia Phones, Latest Apple phones, Latest Blackberry Phones, or Latest HTC Phones using our deal finder. Mobile phones can be a complex business but using our mobile deal finder allows you to look for contracts based on popularity, mobile phone network or by which phone you want. We have every mobile phone network including: Orange, Vodafone, T-Mobile, O2, Virgin, Three, Talk Mobile, and Tesco mobile. PS3/Xbox 360/Wii and so you could save by opting for a cheaper handset complete with a free gift. For pay monthly mobile customers we have a full section of deals from £0 a month (free line rental) to a brand new top of the range smart phone on a 12 or 18 month contract form just £15 a month. Pay monthly customers often get a better selection of mobiles and deals as well as the chance to get a free gift or discount for taking out a longer contract such as a 24 month deal from any major UK network. Free gifts are some of the most popular additions to add to a mobile contract so we have decided to make it as easy as possible to see what free gifts are available on our different handsets. So we have highlighted our poplar free gifts so you can easily see all the phones available with each gift. Customers that already own a mobile phone and are looking to get the most for their money when it comes to minutes, text and internet allowance, sim only mobile deal are the way to go. Often sim only deals are used by people looking for short term contracts for their children or staff in the work place for a low cost mobile contract deal solution. Pay as you go mobile customers have the option to pick from a wide range of handsets from the basic make calls and texts handset from £9.99 including a £10 top up to the latest iPhone smart phone. 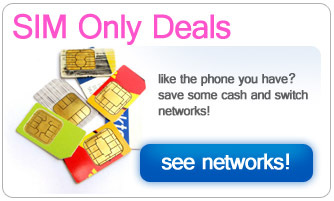 Often pay as you go handsets are cheaper on different networks and so shopping around is key.